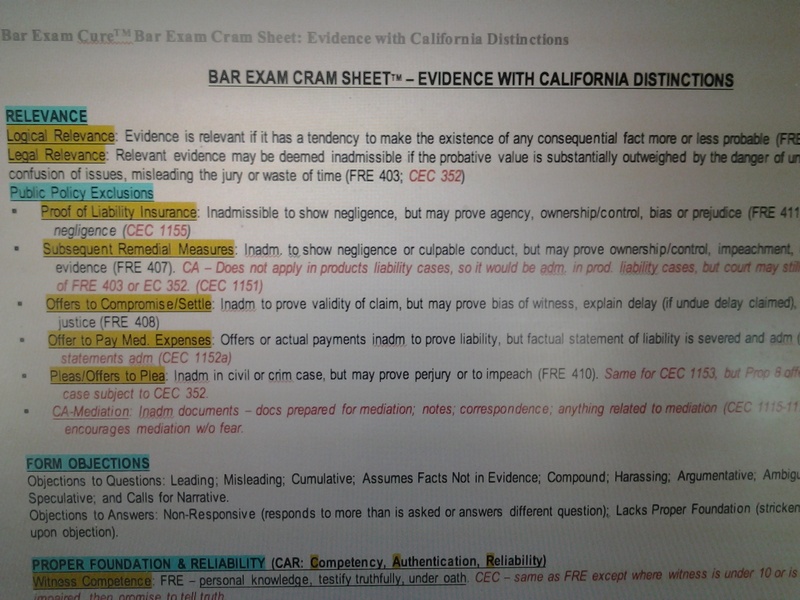 California Bar Exam Predictions On The Way! As promised, free downloads 1) our 9 step Evidence Essay Approach and 2) our approach for evaluating the constitutionality of a state or federal statute (both are areas that seem ripe for testing for the February 2012 bar exam). Click on the links below to download your copy. I will also be posting “predictions” soon. Stay tuned . . . and for automatic updates, please feel free to subscribe to this blog. Previous California Bar Exam Predictions Are On The Way!